Welcome to Burlington Lodge #32 F&AM! Welcome! We are in the 19th Masonic District of the GrandLodge of New Jersey of Free and Accepted Masons. Learn a little about who we are, enjoy viewing the photos of several of our activities, read about our history, and browse around to learn about Burlington Lodge and Freemasonry in Burlington, NJ! Interested in membership? Click HERE. Want to learn a little bit more about Freemasonry? Visit this page on our District Site. Help us help the Red Cross help others. Please consider giving the gift of life. Leave April 24, 2019 open starting at 2pm. Click here for more info. On Tuesday, April 30, 2019, Burlington Lodge and Maple Shade – Moorestown Lodge will be conferring the Master Mason (3rd) Degree on two candidates. 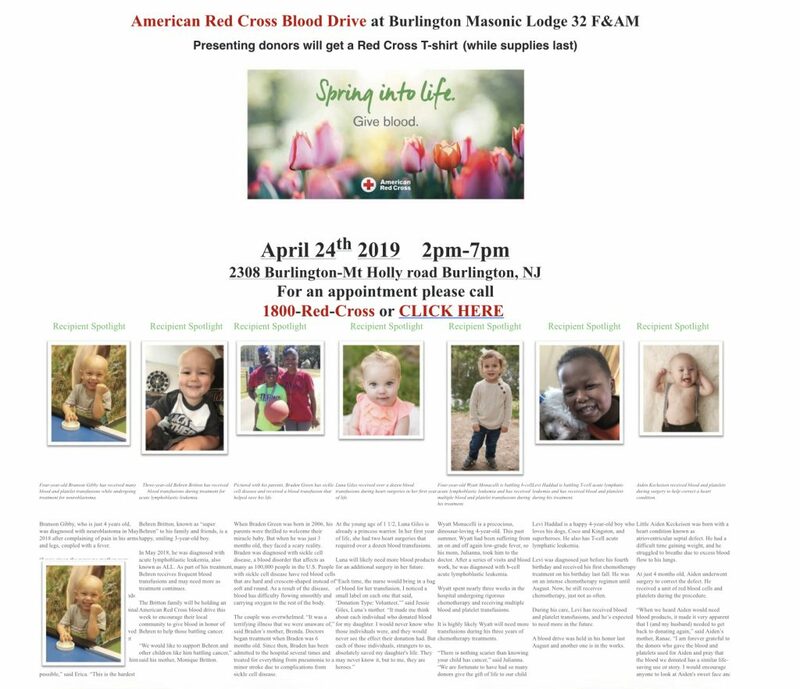 One candidate from Burlington Lodge and one from Maple Shade – Moorestown Lodge. This will be a shared degree. Please come out and support these two candidates and welcome them as Master Masons. 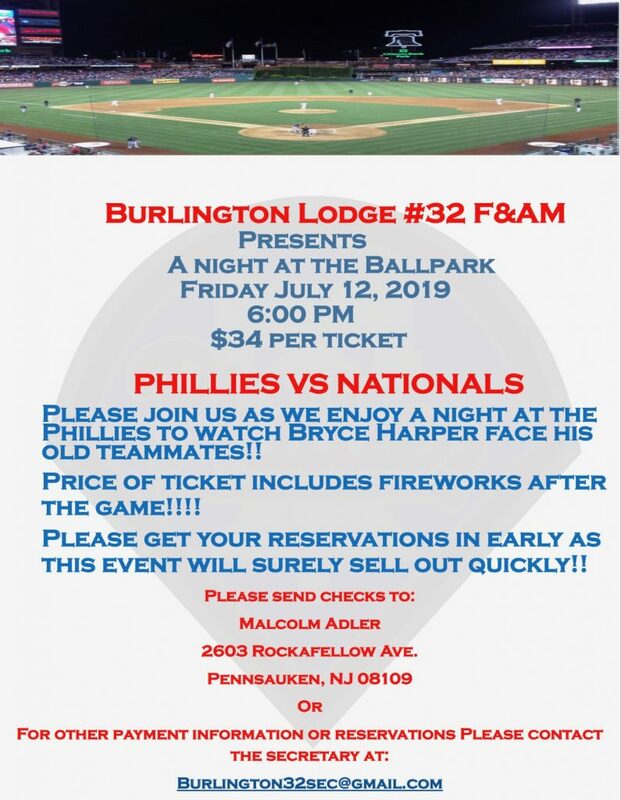 You may also buy your Phillies Night tickets while here that evening. The tickets are moving very fast but there still remains a few. Dinner is at 6pm. Lodge opens at 7pm. Dress is business suit for brethren on the sidelines and formal for brethren involved in the Degree. Come out and join us. Get your tickets NOW! They go very quickly! !